Our friendly Admissions team is here to help you with any questions you may have about our school and the admissions process. Our BSB Sanlitun campus opened their doors in 2003, and our Shunyi campus opened in 2010. We are part of the Nord Anglia Education's global family of 61 premium international schools that educate more than 61,000 students across 28 countries, including major global cities in North America, Europe, the Middle East, China and South East Asia. Do you have qualified teaching staff? BSB hires only highly qualified, motivated and experienced staff who are able to develop young minds and help ensure our students become skilled and creative thinkers. The majority of our teachers are from the UK, with a few specialist teachers from other countries and a strong Chinese team teaching Mandarin. All our teachers profiles are available Our Teachers & Staff. What Accreditations & Affiliations does your school hold? Our school is registered with the Beijing Education Commission under the International Department. Because we are inspected successfully by the Independent Schools Inspectorate (ISI), an inspectorate approved by the UK Government Department for Education, we are one of a very limited number of officially accredited British Schools Overseas. As another result of the ISI, we are also granted Accredited Member Status with COBIS (Council of British International Schools). BSB is an IB World School approved for the International Baccalaureate© (IB) Diploma programme, and a member of IAPS, the Independent Association of Prep Schools. In addition, BSB Shunyi is a FOBISIA (Federation of British International Schools in Asia) and ACAMIS (Assoication of China and Mongolia International Schools) member school. We are an approved Cambridge International Examinations Testing Centre and Edexcel Testing Centre, which authorise BSB for the Key Stage Four (Year 10 - 11). We are an authorized College Board SAT and ACT Testing Centre for those students heading to American Universities. For our students studying Mandarin Chinese, BSB Shunyi is an approved examination centre for the HSK Chinese Proficiency Test as well as the Youth Chinese Test (YCT). How do you ensure good behaviour and manners at BSB? We have a school culture that promotes respect for others, good manners and promotes self-expression and self-esteem. We accomplish this through the teaching of BSG (Behaviour and Social Graces). In the primary school, children earn PAWS (P-Positive Behaviour; A-Academic Achievement; W-Working Together; S-Sport) to record their academic and non-academic achievements. The system aims to encourage a real sense of pride and achievement as well as fostering a strong community spirit amongst them. In the secondary school, students earn merits for respectful behaviour. At lunch times, the teachers sit with the students, ensuring good table manners. Do you teach a broad curriculum? Our broad and balanced curriculum soundly develops students’ skills and knowledge across ten subject areas in Primary School (Year 1 - 6) International and Deutsche Grundschule Peking streams. 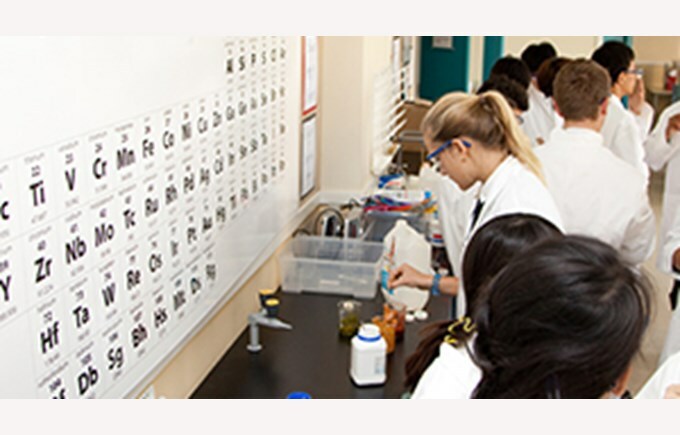 In Secondary, a range of courses are available within the Key Stage Three (Year 7, 8 and 9), Key Stage Four (Year 10 - 11) and The IB Diploma (Year 12 - 13) programmes. These are enriched with music, arts and sports programmes. Do you have Teaching Assistants (TAs)? Our TAs and all are highly qualified, many having obtained their degrees and masters qualifications from overseas universities. We offer a comprehensive internal training programme tailored to the needs of our TAs, with the aim to developing a strong team of highly trained and fully competent individuals. TAs teach ability groups under the guidance of the class teacher and also work with individual children who need further support or extension in the classroom. Are students set individual targets or differentiated into groups? Upon entry, we use information from students' previous schools and prior attainment, where possible, to set minimum and also aspirational targets for all subjects. These targets are regularly reviewed between students and teachers; parents also receive regular information on progress against targets. If a student is exceeding his/her goals, we review this with the student and may well set a new aspirational target in celebration of that excellent progress. If a student is falling short, appropriate staff will work with the student, teacher and parent to identify any changes needed to further improve the student’s academic progress. This is highly personalised and targets remain flexible as part of our highest quality learning educational philosophy. Why do you do entry assessments? Our entry assessments ensure your child goes into the right class and correct ability groups from day one. These assessments act as a simple and quick check which enables us to meet an individual’s needs; it helps us spot talents or weaknesses that we will give special attention once the student joins BSB. We also assess the English ability of students who are non-native speakers to ensure they are able to access our curriculum with support from our EAL team. How will BSB ensure my child settles in quickly to their new school? Our transition policy allows students and their families to make a smooth start at BSB. We provide lots of information on the class and school prior to your arrival and are ready for you from day one. Your child will be placed in the ability group and class that will give them the support and challenge they need. To help students feel secure in class they will have a ‘buddy’ to look out for them in the early days. We also have a PA welcome team for the family and regularly scheduled events to ensure the entire family quickly feels a member of our BSB family. Events are communicated through the Parents' Association Blog and their regular newsletter. Do you have a pastoral care system? There is a superb pastoral care system at BSB. In the primary school, the class teacher assumes this role, leading assemblies, circle time lessons, being on hand for all students and watchful of the class’ social development. In secondary school, each student has a form tutor who is also responsible for delivering the citizenship and PHSE programme. Mr. Mark Hardman is our Assistant Head of Secondary - Pastoral. Additionally, our counsellors and advisors provide support for careers and university entrance. Do you have any support programs or gifted and talented programs? Across the school, academically strong students will be challenged in differentiated groups (called sets) within their classroom in those subjects in which they excell. In addition, we offer a fast track Key Stage Four (Year 10 - 11) programme for our more able students. My child loves music. Can my child learn an instrument at BSB? 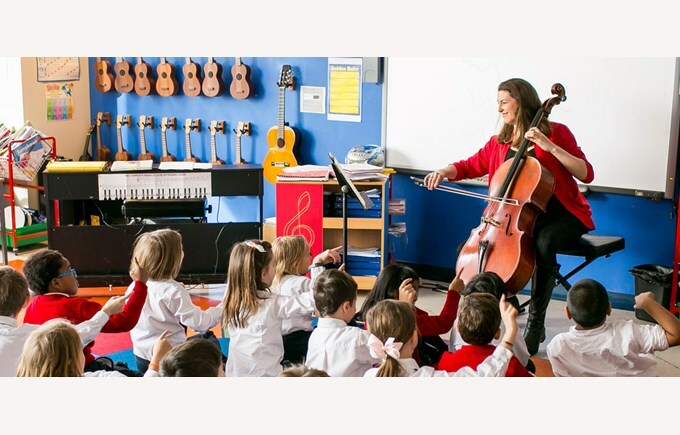 Through the Juilliard-Nord Anglia Performing Arts Programme, BSB students experience music, dance and drama as they form an important part of our curriculum from the age of four right through to Secondary school. At BSB every student over 5 years old learns an instrument. In addition to the weekly class music lessons, we offer around 30 different musical courses. Private tuition is also available in all classes. Our students also have the opportunity to perform and also to compete in overseas music competitions. Learn more about how we deliver an excellent performing arts education with Juilliard. It would be great if my child could join a club after school. What do you offer? We offer over 300 after school activities and lunch clubs each year, which ensure our students are well rounded and active. Our clubs include a variety of opportunities including academic options, native language input, Lego robotics, martial arts, cooking, sports and music to name but a few. How do you encourage future leaders? The leadership programmes in the Primary school include House Captains, Student Council, Playground Prefects amongst others are used to give students as young as 6 years old a voice and responsibility for their school. In Secondary school, the Student Guild, International Award, Model United Nations and a prefect system are some of the opportunities our students have to develop their leadership skills. Being a school for students from 1 to 18 years old, what opportunities are there for joint activities? There are many opportunities to work with students of other ages and across the school community at BSB. Secondary students complete community work in primary school by reading with students and taking part in joint projects (cookery classes, art days, reading etc). Once a student reaches Year 6, we provide a comprehensive programme of transition opportunities as they approach the age for secondary school. It is important for my child to feel safe and cared for. I want my child to be a risk taker but in a secure environment. BSB provides a more intimate school experience – students and staff know each other well. Students are encouraged to participate in all school events and a true sense of belonging is engendered. Good behaviour and social graces at BSB is paramount. We are watchful of inappropriate behaviour and take action swiftly and discretely should problems among students arise. Do you have an active Parents’ Association? We have wonderfully supportive Parents' Association (PA) at BSB. Starting from the Welcome committee for new families, parents work as class representatives, help to organise events such as International Day, BBQs and the annual charity ball. Please check our Parents Essentials section. Do you accept all passport holders? BSB is licensed as an International school under the Ministry of Education and can only accept qualified students who hold a foreign passport and have at least one parent holding a foreign passport with the appropriate working visa. In accordance with the new requirements implemented by the Beijing Municipal Education Commission (BMEC) for applicants from Hong Kong, Macau, and Taiwan; both parents and student(s) must be foreign passport holders (including passports of Hong Kong, Macao, and Taiwan). Parents from Hong Kong, Macau, and Taiwan must also hold a travel permit (回乡证, 台胞证). At least one parent must have a working visa, or a working certificate (就业证) issued in Beijing. For any questions on this policy, please submit your family's document copies to our admissions team for consultation.